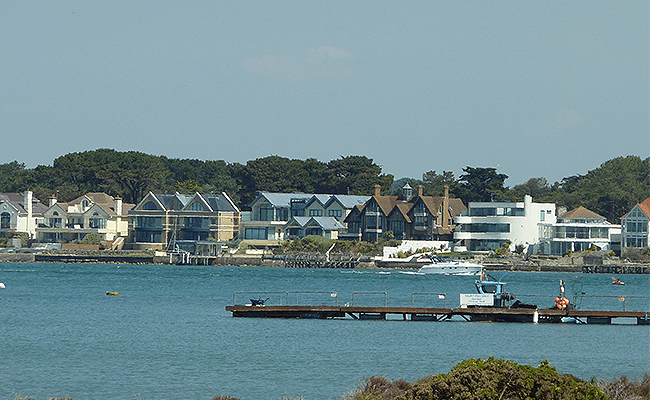 Poole is a coastal tourist resort in Dorset, which has a natural harbour. There has been a settlement here since the Iron Age although it is not mentioned by name in the Domesday Book. 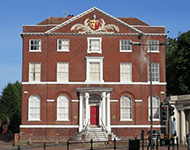 The Romans invaded Poole and took over the Iron Age fort, the Vikings invaded twice, and then came the Normans. The Old Town still retains some of its medieval buildings, such as the Grade I listed Town Cellars (a 15th century warehouse built on the foundations of a 14th-century stone building) and Scaplen's Court (also a Grade I listed building). A lot of the medieval properties were replaced with Georgian buildings and terraced housing during the 18th century.